The first lady weighed in on the controversial immigration policy. The first lady issued the unusual statement in response to the growing outrage over the separation of children from their parents who illegally crossed the southern border into the United States. The current policy stems from the Trump administration’s “zero tolerance” toward people crossing the border illegally. 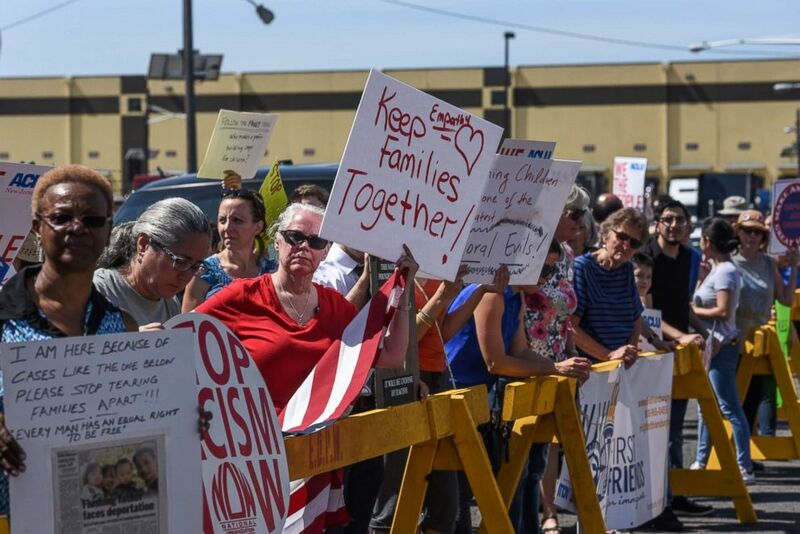 As migrants who illegally crossed the border await trial, their children are separated from them and sent to a separate facility while their parents go through the criminal process. The policy, set forth by President Donald Trump and implemented by Attorney General Jeff Sessions, has come under sharp criticism by lawmakers, advocates and the religious community -- including some in the president's base. Despite the backlash, the president has defended the policy, which went into effect in May. "I hate the children being taken away," he said Friday. "The Democrats have to change their law. That's their law." Trump has falsely placed the blame on Democrats, saying they need to get behind Republican legislative efforts. However, there is no law mandating the separation of families. The first lady’s comments are consistent with the president, who says that the current situation on the border can be remedied with immigration reform. Former first lady Laura Bush wrote an op-ed for The Washington Post on Sunday in which she said the policy "breaks my heart." She singled out the zero tolerance policy as not being the answer, calling it "cruel" and "immoral." "People on all sides agree that our immigration system isn’t working, but the injustice of zero tolerance is not the answer," Bush wrote in the Post. "I moved away from Washington almost a decade ago, but I know there are good people at all levels of government who can do better to fix this." Next week, Congress is set to vote on two immigration proposals –- the conservative McCaul-Goodlatte bill, and a more moderate House GOP bill. Trump will make a rare trip up Pennsylvania Avenue to talk to the House GOP conference about immigration. “The president is fully committed to both of these bills. He has put the full weight of his office behind it,” said House Homeland Security Committee chairman McCaul, who spoke with the president on Saturday. Included in the moderate House GOP bill is a measure that would stop family separations at the border. Presidential advisor Kellyanne Conway slammed the policy of separating children from their parents during an appearance on NBC News, saying she doesn't like it. "As a mother, as [a] Catholic, as somebody who has got a conscience," she said. "I will tell you that nobody likes this policy."